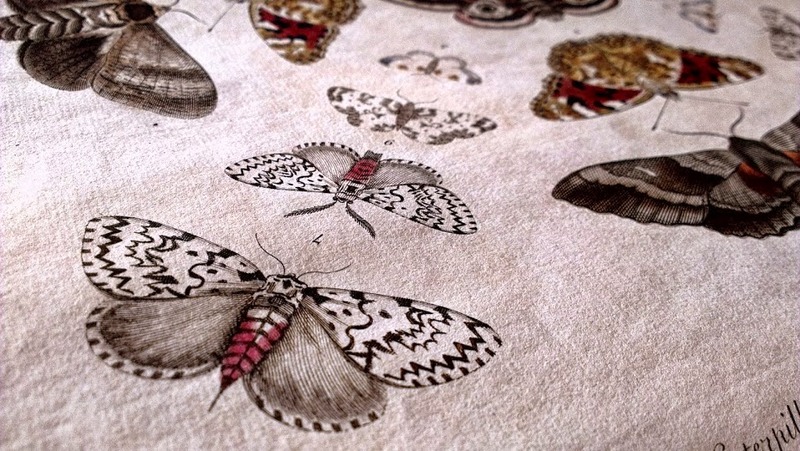 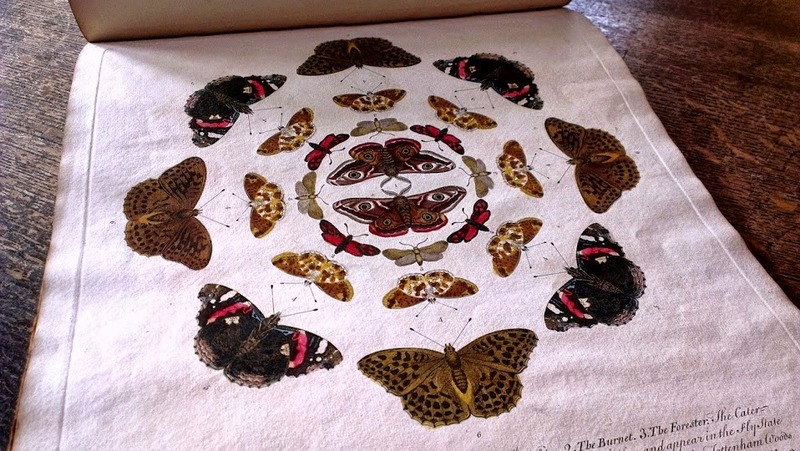 The following photographs are from the book, Twelve new designs of English butterflies, by Benjamin Wilkes [published in 1742]. 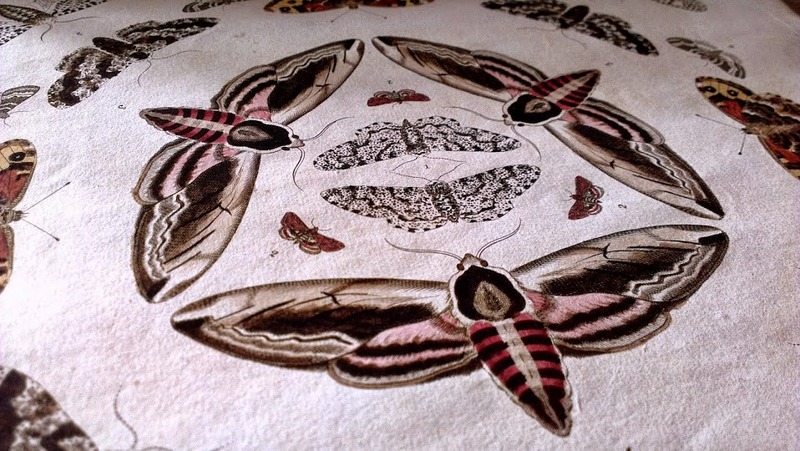 This rare work consists solely of twelve engraved plates each depicting geometric arrangements of both butterflies and moths. 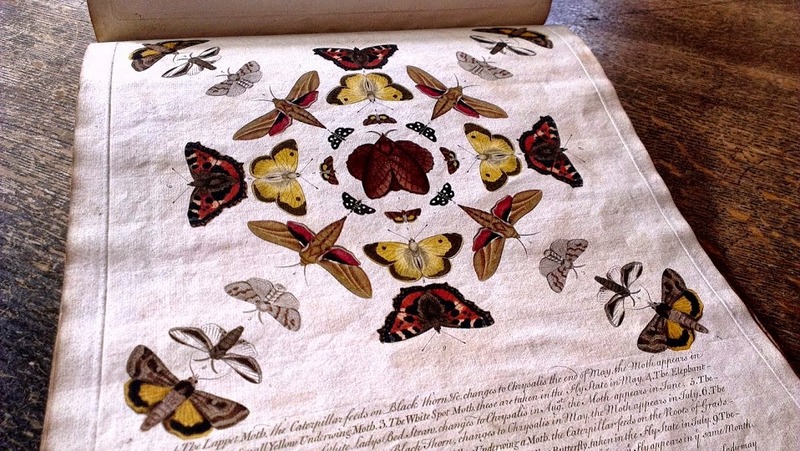 Wilkes produced this profoundly beautiful work as member of the Aurelian Society. 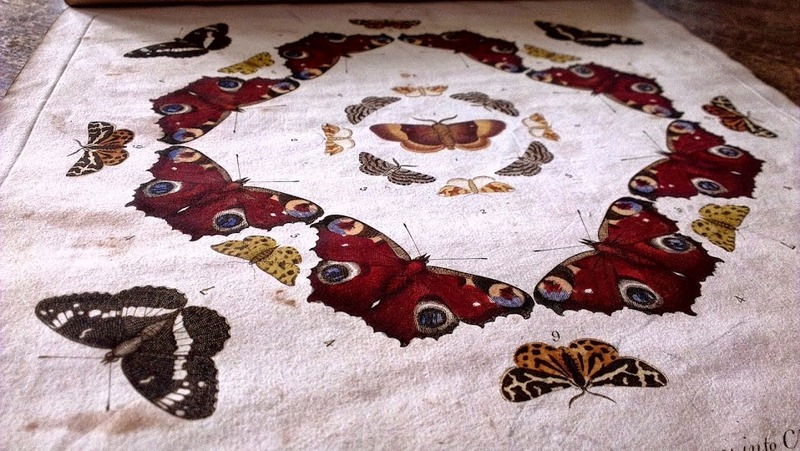 Aurelian is an archaic word for lepidopterist [one who is interested in butterflies]; the term is derived from aurelia, meaning chrysalis, and relates to the golden colour it may attain just before the butterfly emerges. 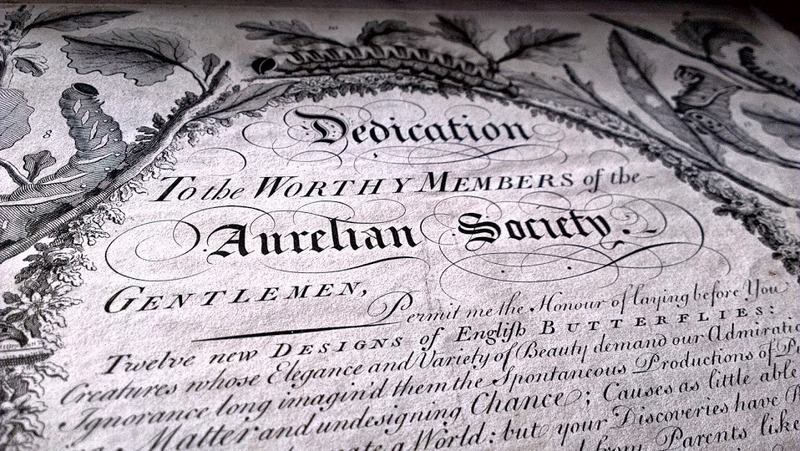 The Society of Aurelians [London], one of the oldest organized bodies of specialists in any branch of zoology. 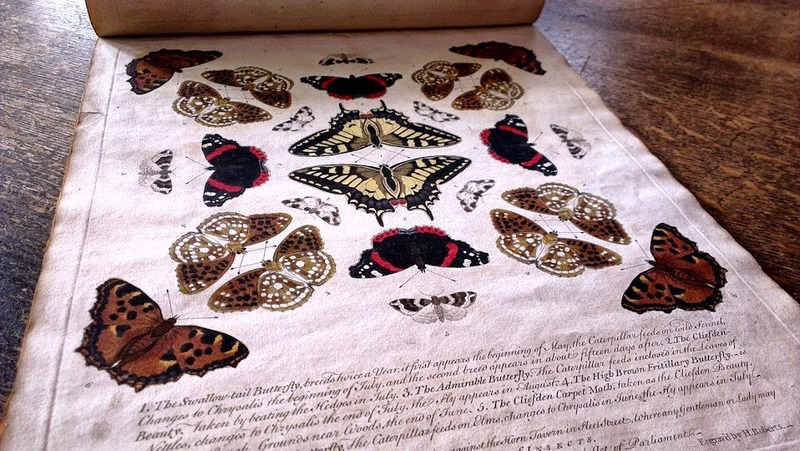 The group collected and documented insects from the 1690s but came to an abrupt end in March 1748. 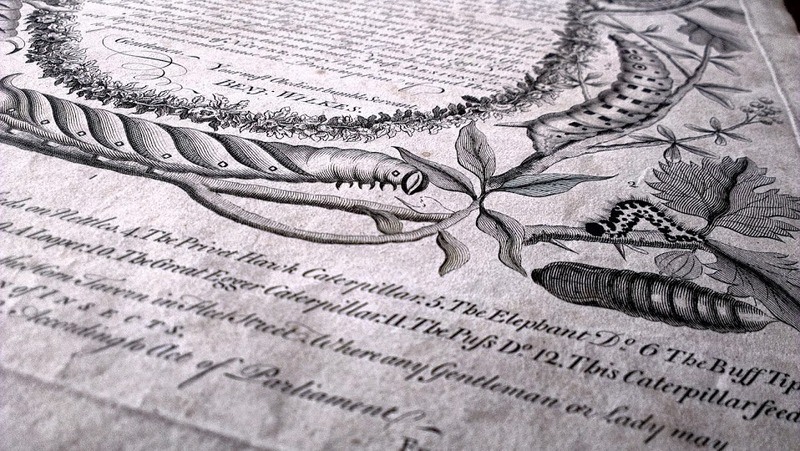 While members of the society were in a meeting in the Swan Tavern, a great fire broke out in Cornhill and enveloped them. 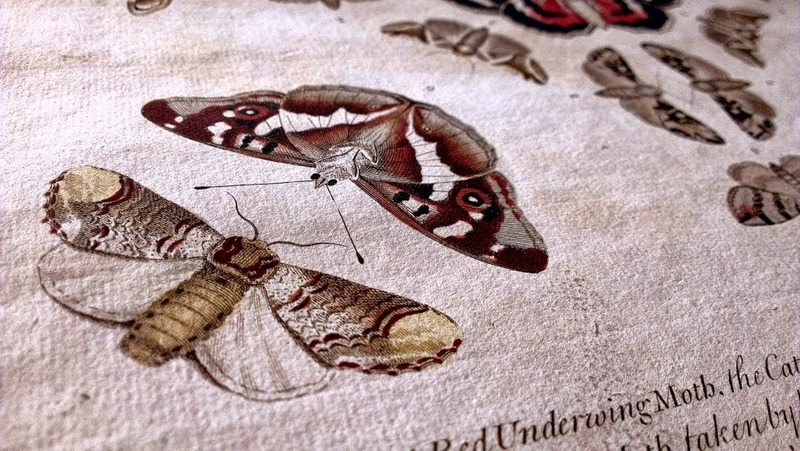 All the members escaped, but their entire collection, library, and records were destroyed. 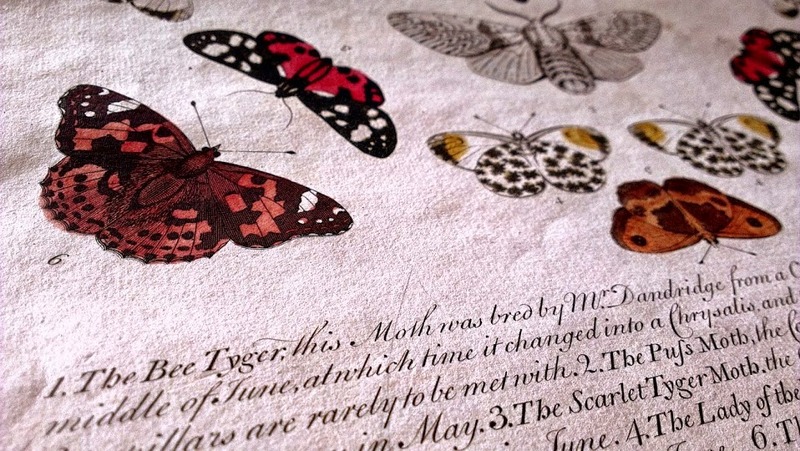 This event was documented by Moses Harris in The Aurelian; or, Natural History of English Insects (1765). 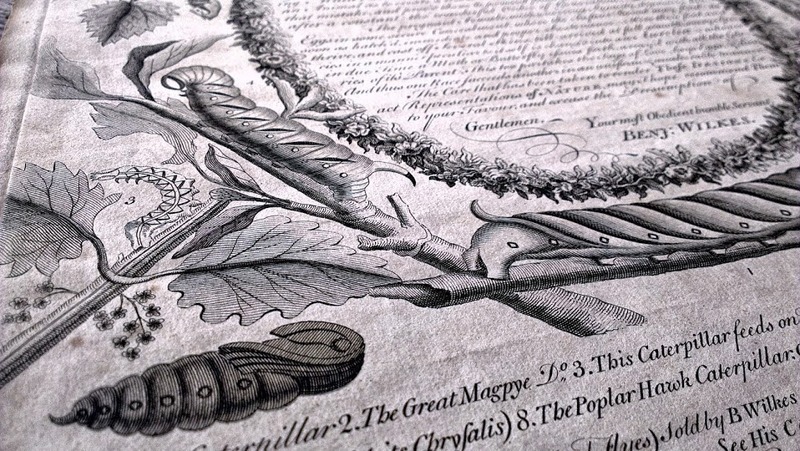 The loss disheartened the group so much that they never managed to regroup again…Aurelian societies were formed several times in Britain [most notable 1762 and 1801], but each time they collapsed. 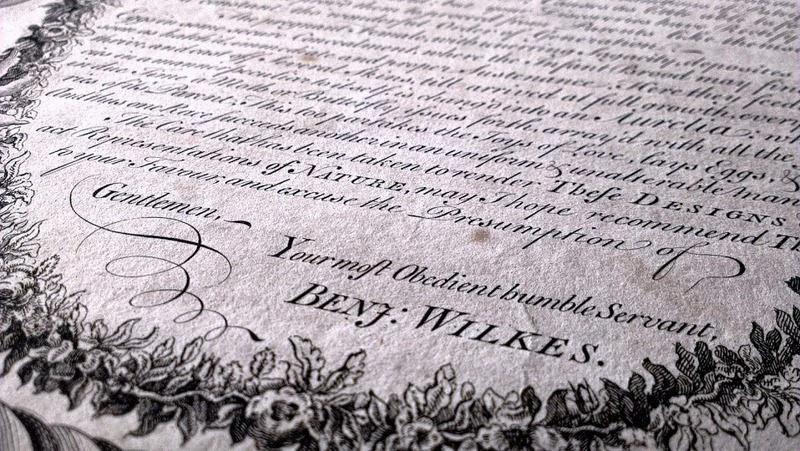 …Benjamin Wilkes was an 18th-century artist and naturalist whose profession was 'painting of History Pieces and Portraits in Oil'. 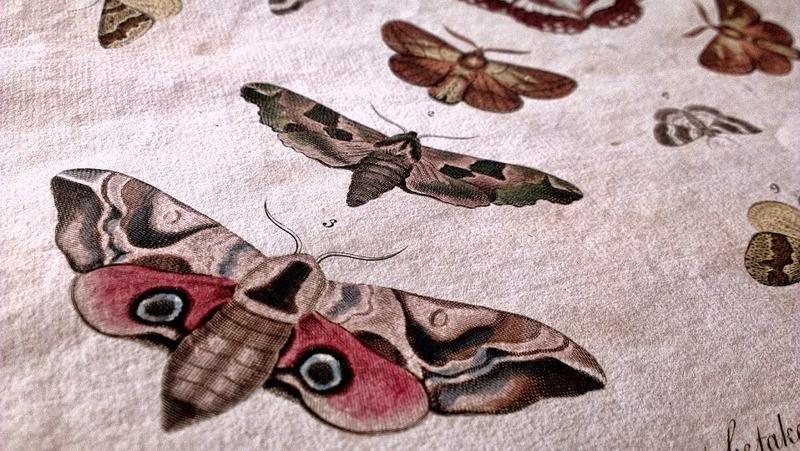 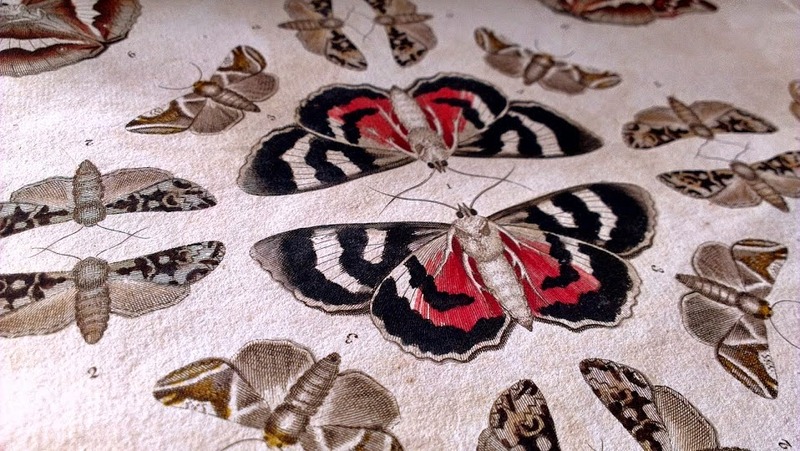 When a friend invited him to a meeting of the Aurelian Society, where he first saw specimens of butterflies and moths, he became convinced that nature would be his 'best instructor' as to colour and form in art. 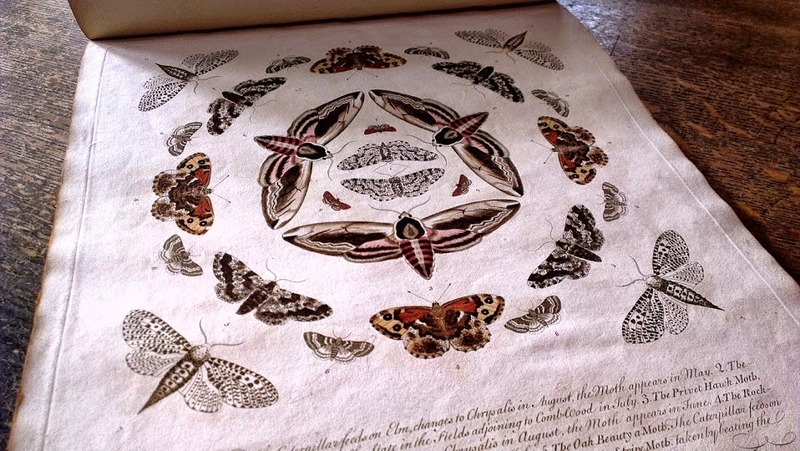 He began to study entomology spending his leisure time collecting, studying and drawing the images larvae, pupae and parasitic flies of Lepidoptera, assisted by the collector Mr Joseph Dandridge. 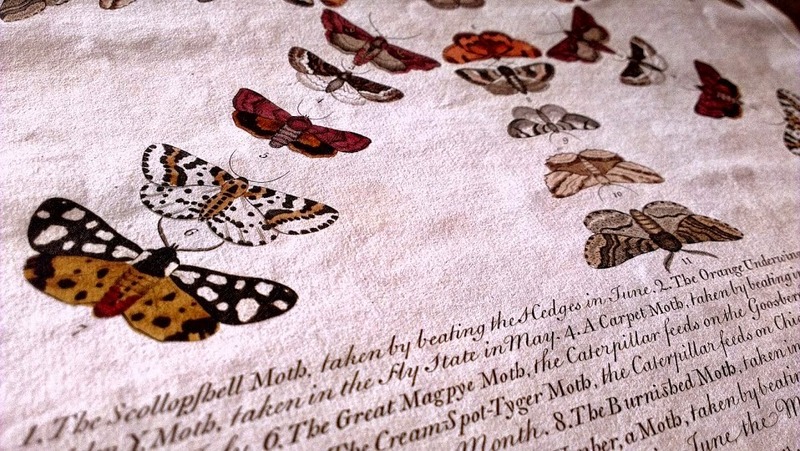 Wilkes' own collection was kept 'against the Horn Tavern in Fleet Street' London 'Where any gentleman or lady' could see his collection of insects [Wikipedia].